There is a photographic puzzle that I hope you will help me solve. 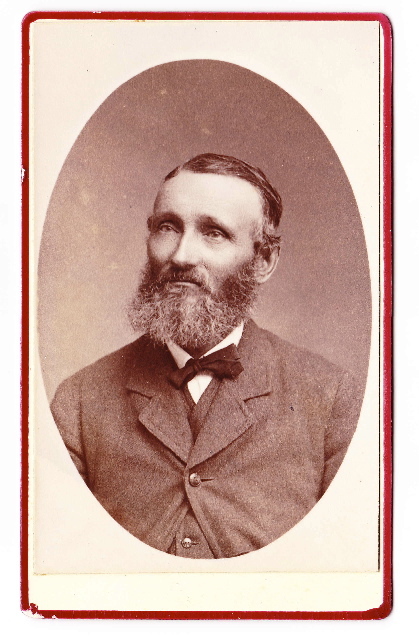 Among the old photographs that I have received from family members are these two portrait-style pictures taken around 1868 to 1870. The one on the left was taken in Dublin; the one on the right was taken in London. The left one may have been taken a year or two earlier than the one on the right. After looking at the pictures for a time, I have concluded that they show the same man, not two different ones. The beard is the same, hair-parting side is the same, the expression is the same. Do you agree this is the same person in both pictures? If you don’t, could you comment on why you think that? There is a second question: who is he (or who are they, if you think there are two men)? I hope you will agree the two pictures at the top of this post do not show Lancelot Smith of Corballis. Is there a second Lancelot Smith who could be in the top pictures? There is one possibility: Lancelot’s first cousin, born in 1833 in Cumberland and living in London in 1871, according to the English census. He could have visited Dublin. If the top pictures don’t show Lancelot Smith, do they show John Smith? The big problem here is there is no John Smith that I am aware of who would be about the right age (roughly 35-40). 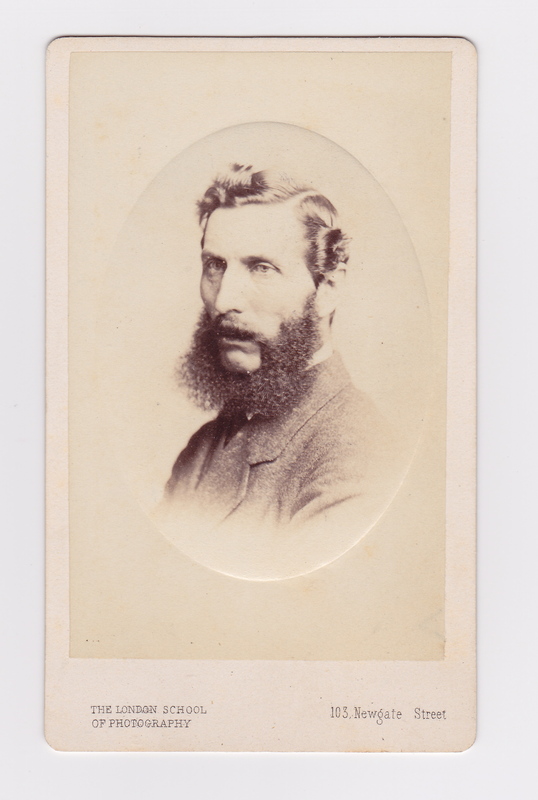 Lancelot Smith’s brother John died in 1848 as far as I know. My preferred answer is that the pictures at the top show a different Smith: Thomas Smith, the first tenant at Blackhall. I have no photographs of him and would dearly like it if these photographs were of him. Wishful thinking? 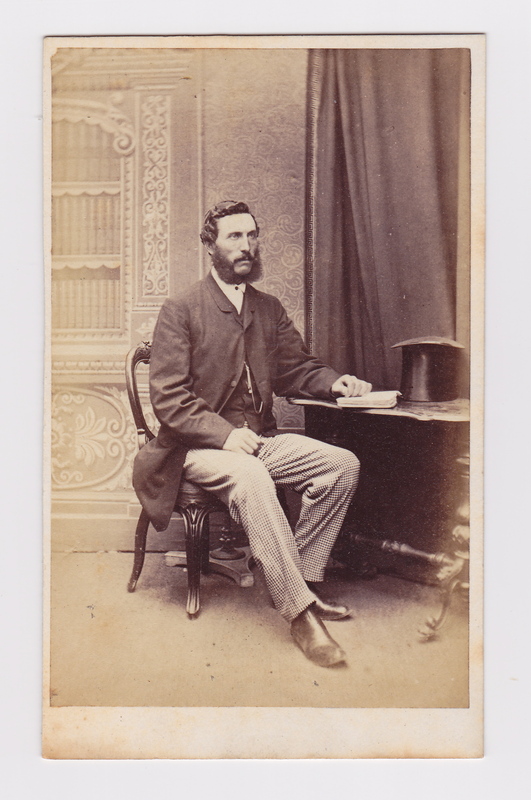 This entry was posted in Families, Photographs, Smith and tagged John Smith, Lancelot Smith, Photographs, Thomas Smith. Bookmark the permalink.